Since its release on November 16, there has been a flurry of activity around Barnes & Noble's first tablet offering, the Nook Tablet. It's not surprising either, previous devices such as the Nook and Nook Color e-readers were pretty popular to root to get running Android, even offering Nook2Android MicroSD cards capable of booting Google's OS for those that may not be confident tinkerers. It's not too much of a surprise then that four days after its release, a developer from the XDA forum has managed to provide the masses with a complete root for the tablet. The permanent root by "Indirect" uses a similar method to the recent root for the Kindle Fire. 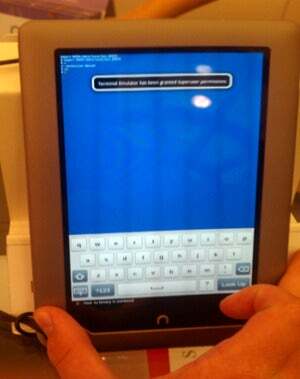 Using a method called zergRush will allow you to hack your new Nook device, and there is now also a straightforward way of also adding Android apps too. In addition, "t-r-i-c-k" has also _just _added some instructions on how to root the Nook Tablet from a Mac, although it will require an unused tablet and a new (or reset) computer to work. Previous to the new, full root method, another developer has managed to get the Nook Tablet sideloading Android apps without the need to root--"Yaggermr" had managed this by downloading the Android ADK via the built-in web browser. However, not only is the trick quite temperamental but Barnes & Noble states that this is only possible due to a hole in the browser and are looking at issuing an update in the future to fix the problem. Though seeing as you can now have the tablet with a full root, why go down the sideloading route? If you were struggling to choose between the Kindle Fire and Nook Tablet, perhaps for the tinkerer inside you, this great news might help you make a decision. To get everything you need and instructions on how to root the Nook Tablet, visit the root thread page.